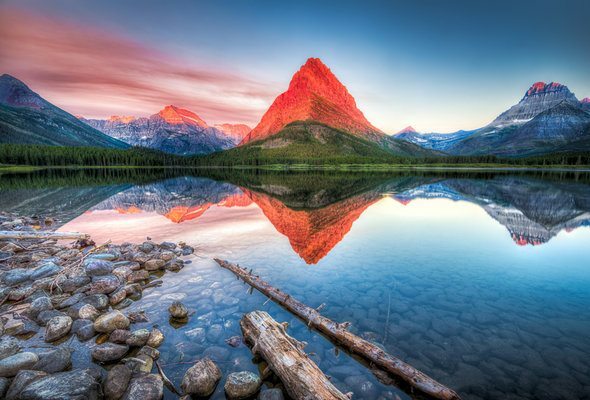 Montana is known for its natural beauty. You may have seen scenes shot in Montana if you saw the films “A River Runs Through It” or “The Horse Whisperer.” Broad swathes of the Montana country is not just beautiful but empty. The state’s population density is the third lowest in the country, behind Alaska and Wyoming. If that sounds like the perfect escape to you, here are 15 things to know before moving to Montana. 1. You’ll want to get out into nature. Montanans tend to be an active bunch. Being an outdoor enthusiast is the norm here. Of course, many Montanans work outside, as ranchers, farmers or in the oil industry. But even those with office jobs jump at the chance to get outside for hiking, camping, fishing, hunting, canoeing and more. 2. Public universities are a good option here. Montana State University (MSU) and the University of Montana are both well-regarded public institutes of higher education. If you have kids or you’re thinking of going back to school yourself, it’s good to know that the public options in Montana are a solid choice. If you’re moving to Montana for an early retirement, you can take university classes by obtaining Lifelong Education Status at MSU. 3. Population density is low. Did we mention Montana has a low population density? If you’ve never lived in a sparsely populated state before, you’re in for a surprise. You can drive for long stretches on empty roads or settle down in a home that’s miles from its nearest neighbor. Depending on your preferences, that may sound ideal to you. 4. Skiing and snowboarding reign supreme. Winter sports are huge in Montana. 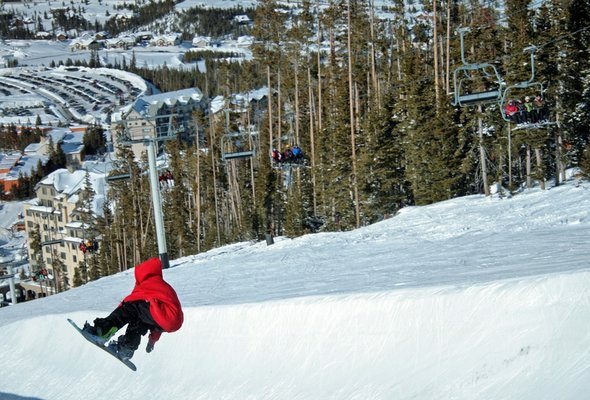 The state boasts 15 ski areas and resorts, including the famous Big Sky Ski Resort, with 5,800 acres of ski-able land. The active Montana lifestyle doesn’t stop during the winter months. The big divide isn’t between skiers and snowboarders – it’s between those take part in winter sports and those who don’t. Montana winters are extremely cold and feature unpredictable temperature swings. Between November and March, Montana’s temperature swings between 50 degrees above zero and 50 degrees below zero. If you’re moving to Montana, it’s important to dress for the weather and keep a winter survival kit in your car. 6. Montana is politically divided. There’s a big urban-rural divide in Montana and the divide shapes the state’s politics. The state’s three electoral college votes are solidly Republican, but Montana’s senior U.S. senator is a Democrat. Like many states, Montana has more conservative rural areas surrounding liberal cities. 7. Ranching is alive and well. Montana has more cows than people. Agriculture contributes roughly $4 billion to Montana’s economy and livestock makes up about half of that. If you’re moving to Montana in search of the cowboy lifestyle, be aware that ranching is a tough business with slim margins. However, you’ll be in good company if you decide to devote yourself to agriculture. 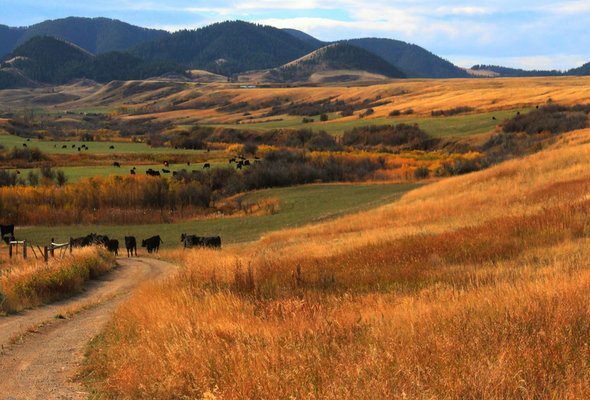 According to the Montana Department of Agriculture, there are 28,008 farms and ranches across Montana. 8. Hunting and fishing are huge in Montana. Even those who don’t work in agriculture may source some of their food outdoors, in many cases from hunting and fishing. Both are popular activities in Montana, where gun ownership and appreciation of the outdoors are strong cultural values. If you’re considering getting into hunting and fishing, be sure to obtain the proper licenses and store your firearms safely. 9. You’ll probably want a car with four-wheel drive. Montana’s tough winters and chewed-up rural roads make a four-wheel drive more of a necessity than a luxury. You don’t want a car that will slide off the road during a blizzard or get stuck in your driveway when you’re running late for work. Whether you buy or lease, look for a car that can handle Montana’s winters. It can be tough to find housing in Montana, which is why, if you’re moving to Montana, it’s a good idea to have at least a temporary rental lined up before you go. In many parts of the state, families and individuals struggle to find affordable housing. For example, according to the Big Sky Chamber of Commerce, about 83 percent of the workforce of the city commutes into Big Sky every day because they can’t find affordable housing in the city. 11. Wildlife is a part of life. 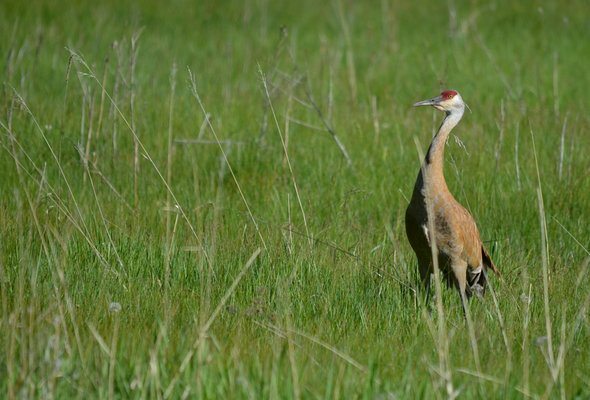 In Montana, run-ins with beautiful creatures like sandhill cranes (or dangerous creatures like rattlesnakes and bears) are par for the course. Managing the deer population is always an issue in Montana, too. If you’re buying a home with a garden, you may need to take steps to protect it from local wildlife. 12. It can take a while for trends to make their way to Montana. That hot new ingredient the hip restaurants in New York, Chicago or San Francisco are pushing might not trickle over to Montana for a couple of years. The same goes for fashion trends, in part because practical, weather-appropriate clothing is more of a priority for Montanans. 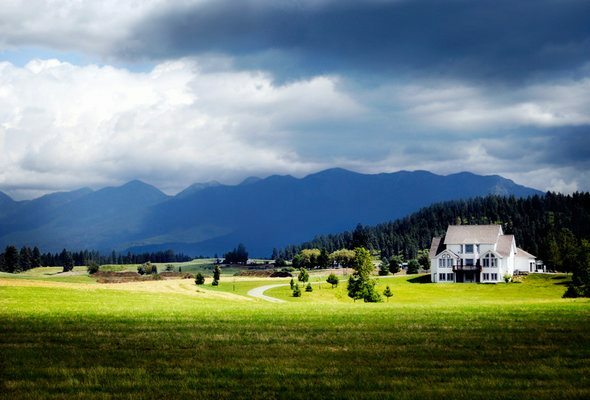 If you’re used to a lot of the amenities of big-city living and staying on top of trends is important to you, moving to Montana may require an attitude adjustment. 13. 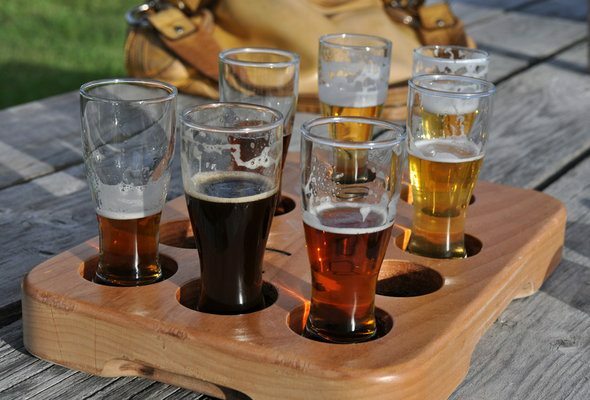 Craft beer – including home brewing – is big in Montana. Like many Western states, Montana boasts a big craft brewing scene. According to the Montana Brewers Association (MBA), there are 53 licensed breweries in the state. The MBA says that the state’s breweries “employ more than 500 employees and have an economic impact of over $60,000,000 annually.” Home brewing is big, too, and kits are available throughout the state. Montanans wave to people they pass on the state’s country roads and chat with strangers in cafes and diners. If you’re moving to Montana from, say, the Northeast, you might be surprised by how warm and friendly the people are. 15. It’s wise to be self-sufficient in Montana. In Montana, particularly in rural areas, you might run into problems like a power outage after a storm or a car battery failure in freezing temperatures. It’s important to have basic survival supplies in your home and car (but you don’t have to go full-on doomsday prepper). But Montanans also rely on their neighbors, so don’t be surprised if you get on a knock on your door asking for help. If you’re preparing to move to Montana, it can be helpful to know how the change will affect your budget so you can plan accordingly. If you’ll be switching jobs, your paycheck may end up looking quite different than it does now. Try using our Montana paycheck calculator to estimate what your new take-home pay will be. A financial advisor can help you navigate big life changes like a move to a new state, or just help you to meet your financial goals in general — like planning for the estate tax. SmartAsset’s financial advisor matching tool can help you find a person to work with to meet your needs. First you’ll answer a series of questions about your situation and your goals. Then the program will narrow down your options to up to three financial advisors who suit your needs. You can then read their profiles to learn more about them, interview them on the phone or in person and choose who to work with in the future. This allows you to find a good fit while the program does much of the hard work for you.